Product Innovation: In this classification, innovation takes place when creative ideas regarding goods and services are initiated. Here, the innovation can be conducted on technical aspects or by introducing different components and materials, otherwise embedding new software. 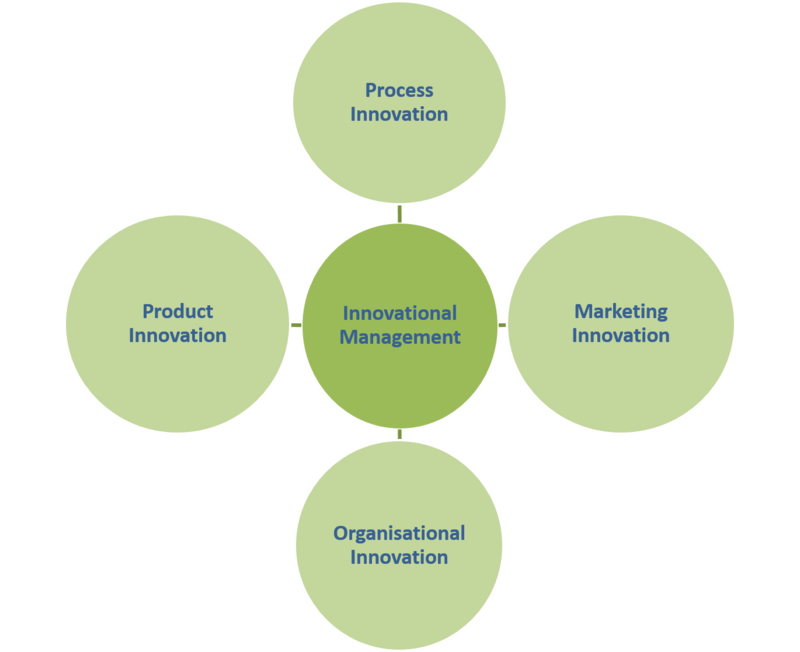 Process Innovation: This classification includes new and improved methods of production. For example, a company can bring in innovation in the manufacturing processes or introduce a creative change in the technological flow. A new method of delivery also comes under this classification. Process innovation will improve production quality, while reducing its overall cost. Process Innovation can be seen in the use of barcodes, scanners and Internet which allows customer to track their parcels. Marketing Innovation: Innovative changes in product design or packaging, sales methods, product placement and promotion or even pricing comes under marketing innovation. There are various examples for marketing innovations. One of the most famous one is Coca-Cola sharing can. The can could be twisted into two smaller cans so that it could be shared. Organisational Innovation: In this category, innovation takes place in the external and internal relation of the organisation. Innovation can occur in the strategy, structure, skills and cultural stimulation. The main aim here is to enhance business performance by reducing administrative and transaction costs, improving satisfaction at work and reducing supply cost. Bringing innovations in these four categories will change the way your oragnisation is placed in the market. But, it is important to know which department requires what type of innovation. And, this is where education comes in. Thus, the first step towards this education can be earned at Welingkar’s Distance Education Programme. You can polish your skills and gain immense knowledge through the various courses. This entry was posted in We Learn and tagged Innovative Management, Marketing Innovation, Organisational Innovation, Process Innovation, Product Innovation, welingkar distance learning. Bookmark the permalink.